I am an assistant professor in the Department of Anthropology at the University of Victoria and have additional affiliations with the Hakai Institute and the Bamfield Marine Sciences Centre. I am a coastal archaeologist interested in food, both as a substance and a medium for understanding human social relations, human-environmental relations, and human-animal relations. 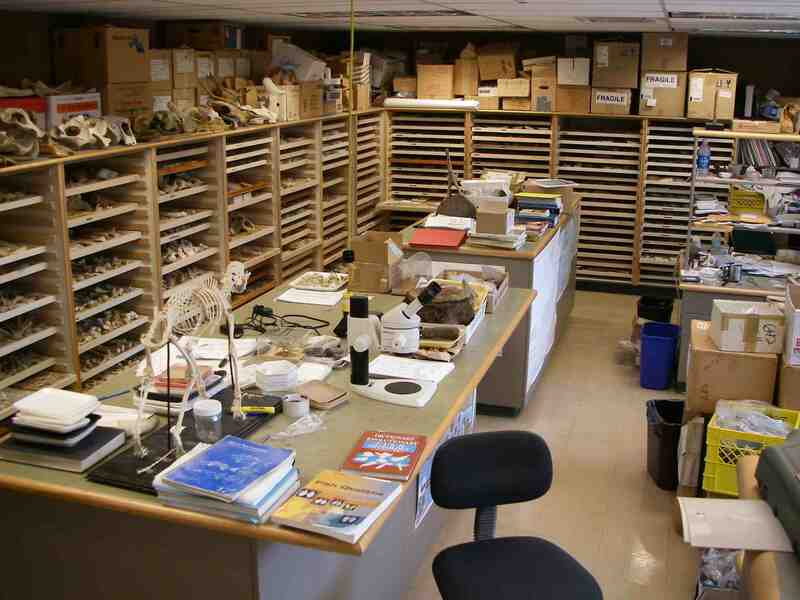 I am a specialist in zooarchaeology (the archaeology of animal bones) and historical ecology (contextualizing modern ecosystem observations with those from well before the 19th or 20th centuries). 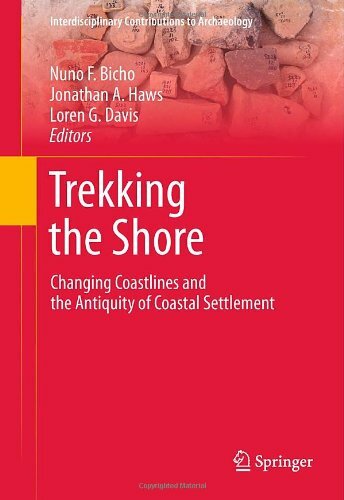 I am particularly interested in these issues in relation to the archaeology of the Pacific Northwest Coast of North America. I am also keen on cartography, visualization of archaeological data, and digital zooarchaeological techniques and technologies. I teach an archaeological field school in Nuu-chah-nulth territories in Barkley Sound. For more information click on the links and tabs above or visit: this site. The 2018 field school received CHEK Television news coverage including an interview with students Jen Hogan and Larissa Dixon, and co-director of the project and Tseshaht representative Denis St. Claire. Below are some atmospheric photos from this field season. More news to come. I am honoured to be part of a multi-authored editorial introducing a special issue in Ecology & Society on Coupled Human-Coastal Ecosystems: Building Resilience through Teaching and Research Partnerships along with SFU resource and environmental management faculty (A. Salomon, K. Lertzman D. Secord) and Kelly Brown director of the Heiltsuk Integrated Resource Management Department and Haida matriarch Ḵii’iljuus Barb Wilson. PhD Student at SFU Antonia Rodrigues and I co-led a study of ancient rockfish from archaeological sites just inside and out of marine protected area and national park reserve on western Vancouver Island with the support of Dongya Yang. This archipelago is a phenomenal fishing ground and heavily targeted by commercial and recreational fishing efforts. Archaeological sites throughout the islands provide a comparison to modern fishing efforts and extend perspective on conservation area management. On a sort of snowy afternoon in February, four UVic students I am proud to be working with travelled to Bamfield to present on their archaeological research in Barkley Sound and elsewhere at PEEC. Very exciting to see this work come together. Dylan Hillis, Seonaid Duffield, Meaghan Efford, and Robert Gustas. In November, was fortunate to attend a very cool Santa Fe Institute workshop in on tracking human uses of animal and plant species via archaeological and ethnographic sources. This was organized by Jennifer Dunne and Spencer Wood and included several cool folk including ASBC President Jacob Earnshaw. Along the way, I got to visit Taos Pueblo where I took this photo of the dyes used in traditional weaving practices. In September, I was fortunate to get an invite to attend a special UVic event where Canada’s Minister of Science was announcing new Natural Sciences and Engineering Council of Canada (NSERC) funding. I am very grateful to have been among several faculty at UVic to receive NSERC ‘Discovery Grant’ funding for 5 years to support my Marine Historical Ecology research program. It was swiftly pointed out to me on twitter that the term ‘discovery’ is highly awkward in Indigenous contexts and a worthy reminder of the care and respect that needs to be taken in archaeological research. The UVic archaeology field school has been featured in the a new video produced by the university with footage from the Hakai Institute. UVic anthropology graduate student Jacob Salmen-Hartley has successfully sampled his way through the Halibut Derby on southern Vancouver Island with the help of field assistant Johnny. Jacob is building a reference collection of a range of halibut of different sizes. 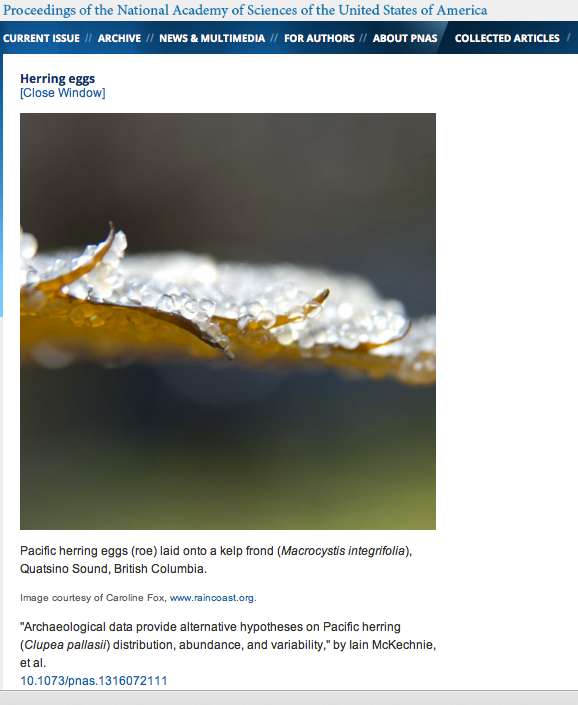 Hakai Blogged about my recent publication on the archaeology of Indigenous fishing practices with Madonna Moss here. Here is a link to the open access paper and a wonderful infographic put together by Josh Silberg below. 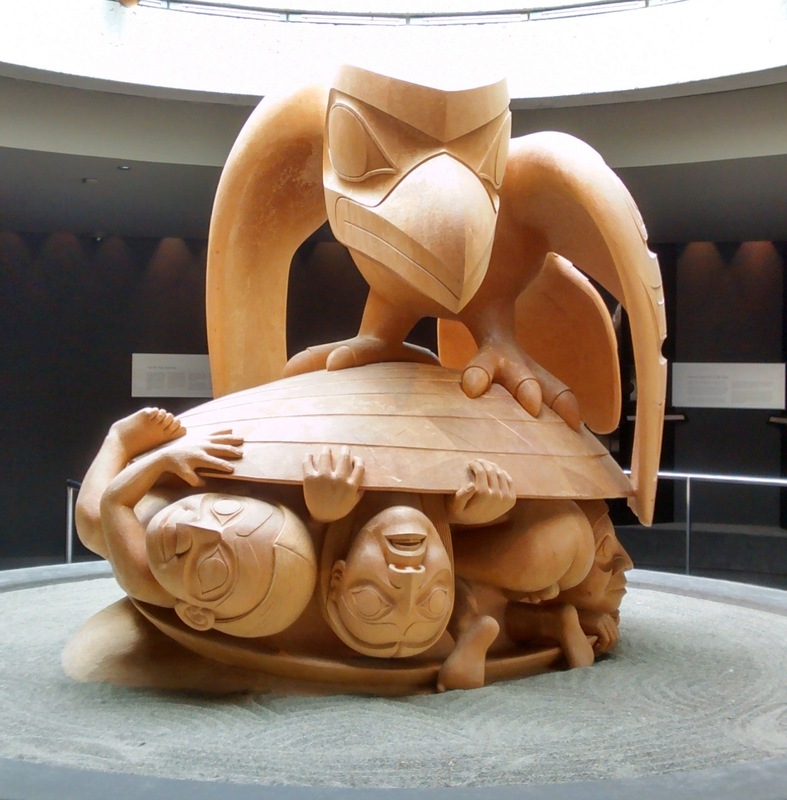 Bill Reid’s Raven & First Men, UBC Museum of Anthropology. Photo: Nicole Smith. I study the archaeology of the human use of coastal animals, with a particular concentration on fish, shellfish, and marine mammals along the Pacific Northwest Coast. My research examines how these ancient archaeological records broaden our contemporary perspective on human-animal relationships, present day resource management challenges and the under-recognized legacy of Indigenous settlement, use, and care for these coastal environments. My research at the University of Victoria is investigating large-scale and long-term patterns in Indigenous resource use on the Pacific Northwest Coast. I am involved in several collaborative research projects on the Coast of British Columbia with Coastal First Nations through the Hakai Institute, and university researchers at Simon Fraser University, UBC, and the University of Oregon. 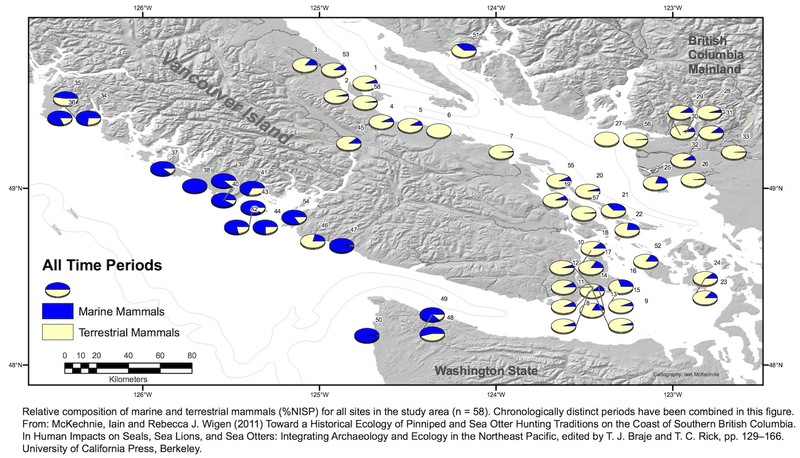 Visualizing spatial trends in marine and terrestrial mammal hunting in southern British Columbia and northwestern Washington State over the past 8,000 years. 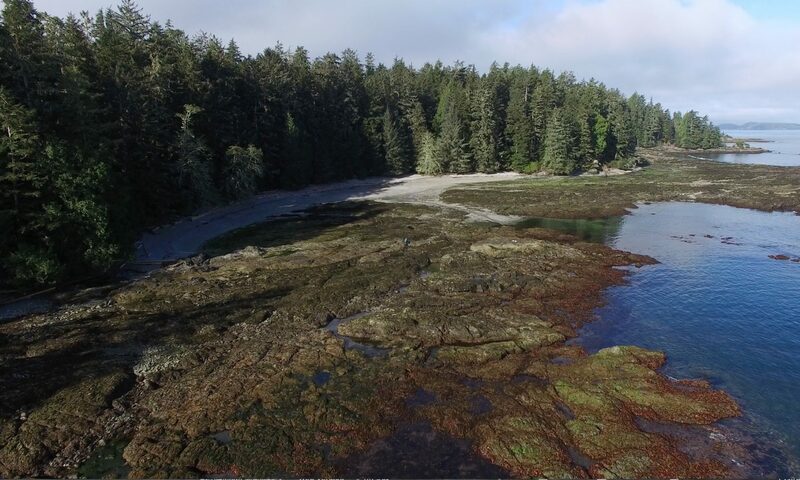 If you have a few minutes, feel free to watch this UAV Footage from 2016 near Bamfield produced by Hakai Magazine. Please visit my researchgate page for additional access. Also feel free to get in touch via email (see ‘contact’ tab above). Martindale, Andrew, Gordon T. Cook, Iain McKechnie, Kevan Edinborough, Ian Hutchinson, Morley Eldridge, Kisha Supernant and Kenneth M. Ames (2018) Estimating Marine Reservoir Effects (MRE) in Archaeological Chronologies: Comparing ΔR Calculations in Prince Rupert Harbour, British Columbia, Canada. American Antiquity 83(4):659–680 doi:10.1017/aaq.2018.47. McKechnie, Iain and Madonna L. Moss 2016 Meta-analysis in Zooarchaeology Expands Perspectives on Indigenous Fisheries of the Northwest Coast of North America. Journal of Archaeological Science: Reports 8:470–485. McKechnie, Iain, Sarah W. Kansa and Steve Wolverton 2015 Snapshots of Digital Scholarship in Zooarchaeology: Introduction to the Special Issue. Ethnobiology Letters 6(2):218–223. 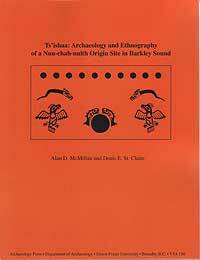 McKechnie, Iain 2015 Indigenous Oral History and Settlement Archaeology in the Broken Group Islands, Western Vancouver Island. BC Studies (187):191–225. McMillan, Alan D. and Iain McKechnie 2015 Investigating Indigenous Adaptations to British Columbia’s Exposed Outer Coast: Introduction to These Outer Shores. BC Studies (187):3–20. 2015 “All Models Are Wrong but Some Are Useful”: A Response to Campbell’s comment on estimating Mytilus californianus shell size. Journal of Archaeological Science 63(11):160–163. 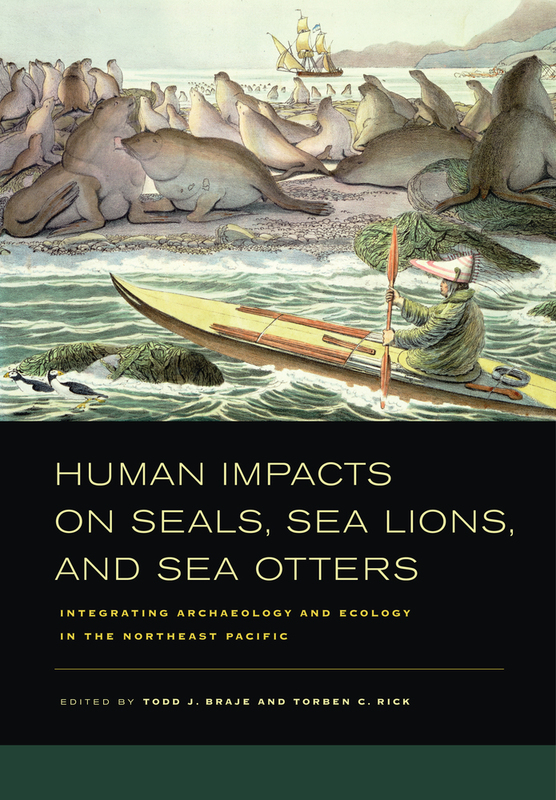 Moss, Madonna L., Dongya Y. Yang, Seth D. Newsome, Camilla Speller, Iain McKechnie, Alan D. McMillan, Robert Losey & Paul L. Koch (2006) Historical Ecology and Biogeography of North Pacific Pinnipeds: Isotopes and Ancient DNA from Three Archaeological Assemblages. Journal of Island and Coastal Archaeology 1(2):165–190.